This June, The White Snake will be bought to Warwick Arts Centre to captivate audiences with an inventive retelling of the popular Chinese fable. The production fuses Eastern and Western theatrical practices together, giving the audience a unique, intercultural theatrical experience. The White Snake incorporates physical theatre, visually stunning movement and live music played by Warwick Chinese Orchestra Society. 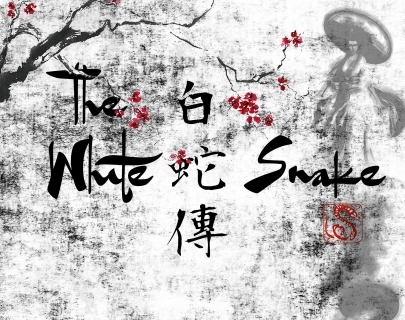 Based on the Chinese legend, The White Snake is a powerful love story set in Hangzhou between a human (Xu Xian) and an immortal snake spirit (White Snake – Lady Bai). The two own a pharmacy and are content with their happy marriage and flourishing business. Fa Hai however, a Buddhist monk, hears of this mortal-immortal relationship and decides he must try to end it, as it violates the moral values in Buddhism. This heart-warming fable asks what it is to be human whilst exploring themes of forgiveness, karma and virtue. Warwick University Drama Society (WUDS) and Codpiece are student societies at the University of Warwick dedicated to the appreciation, performance and production of high-quality plays. The White Snake will be a collaboration between these two societies, putting two different theatrical disciplines – scripted and devised theatre – onstage. Recent successful productions include Hay Fever, Wuthering Height and Posh; notably, Faithless Healer was chosen to perform at the National Student Theatre Festival. 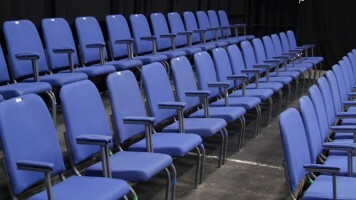 With an intimate feel, this 180 capacity theatre has a flexible seating arrangement, which suits small-scale theatre, comedians and the occasional music event.